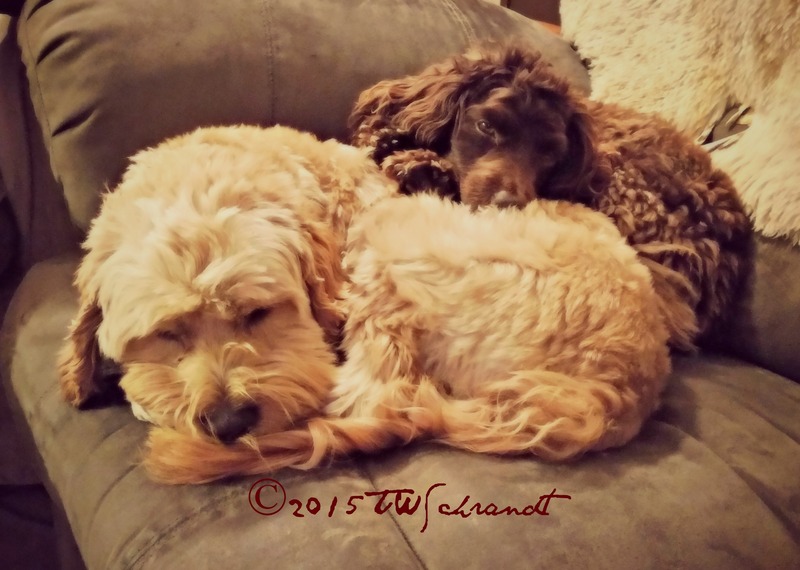 A little puppy love from my fur-babies, Gideon and Aero. Gideon is four months older from a previous litter, same parents. Aero resembles the Cocker Spaniel side of the family. This photo was too sweet not to post! That photo is so absolutely adorable! Put a smile on my face this morning.